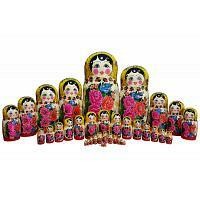 Classic 30 piece Semenov nested doll featuring characteristic bright red flowers and traditional yellow scarves. Hand turned from linden wood, hand painted by professional artists, and coated with several layers of lacquer all in the town of Semyonov, Russia. 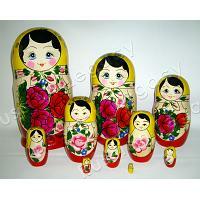 Height: approximately 17 inches (43 cm). 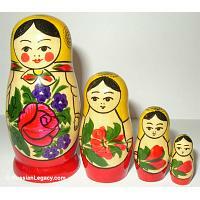 Weight: approximately 13 1/4 lbs (6 kg). Production time: up to 14 business days. Design may vary. 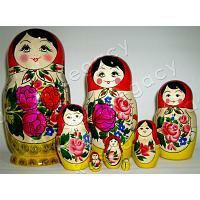 The end of the XIXth century brought with it a real "matryoshka boom". 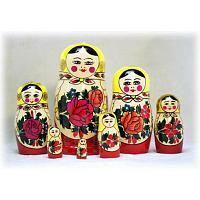 To satisfy the unexpected demand, new manufacturers emerged on the market. 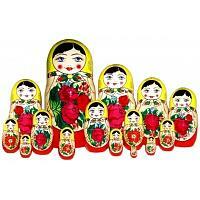 In less than a few years, almost the whole city of Sergiev Posad was painting matryoshkas. This city was the place that had both multitudes of experienced wood turners and the excellent raw material: birch and lime trees. The painting was done by family cartels, where even children and old people took part in the process. 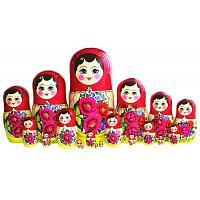 As a rule, Russian matryoshkas depicted young ladies in Russian sarafans (peasant woman's dress) and shawls, holding baskets, flowers, bread-and-salt (traditional Russian sign of hospitality), etc. 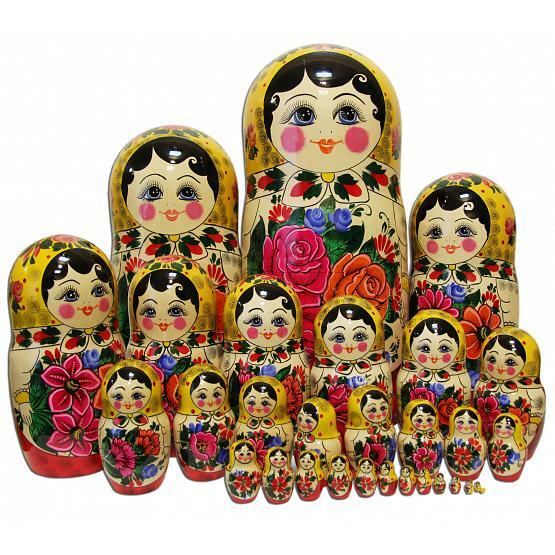 Matryoshkas gained considerable popularity abroad and in the beginning of the XXth century Russia started exporting the dolls in large quantities. 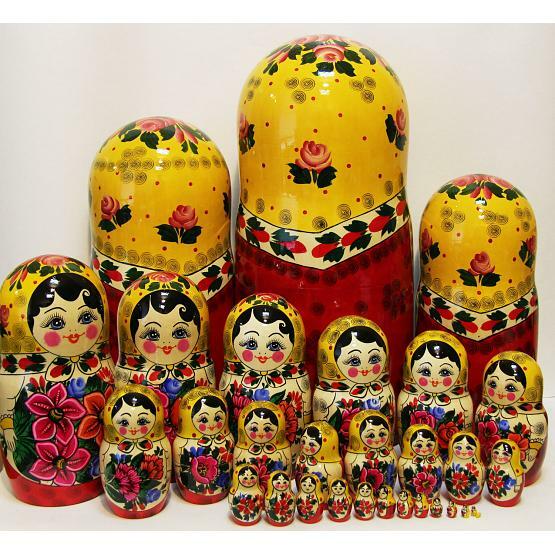 Matryoshka business turned out to be so profitable that a number of other matryoshka-making centers have appeared soon after the mass export has begun. 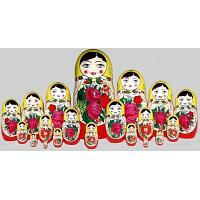 The largest were based in the city of Semenov of Nizhnii Novgorod province and in the village of Polkhov-Maidan. 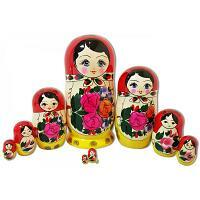 Moreover, this was the time when first western counterfeits appeared on the market. 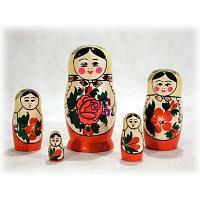 A number of German companies, for example, were turning and painting their own nesting dolls, selling them as Russian matryoshkas. Even though nowadays one can find matryoshkas of various unusual shapes - ball- or cone-shaped, in forms of boxes and bottle-holders - figurines imitating woman's body still remain the most popular ones. 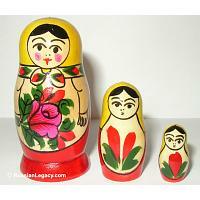 As a rule Sergiev Posad dolls are, however, wider and smaller than the Semenov-turned ones.